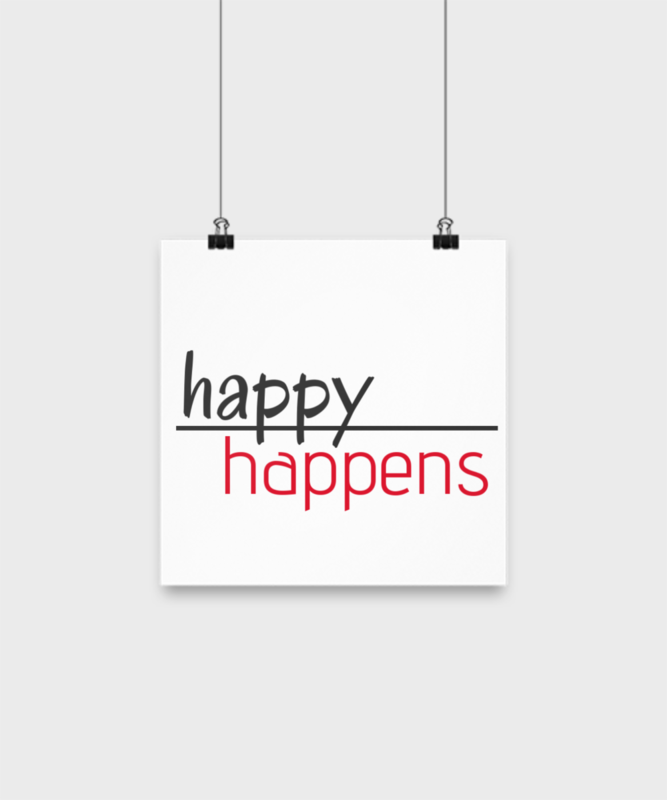 Happy Happens Poster -- For Home or Office, Friends, Family, Kids Bedroom, Family Room or Other Location where you want to fill the room with light -- because Happy Happens! 10"x10" or 14"x14"
Brighten Your Life with this Happy Poster! Comes in two sizes. Light-up your kids bedroom, your own home office, husband's work place or other location where you want to spread the good news that Happy Happens! Share with family and friends. A great gift for YOU or your teenage daughter, girl friends, mom, other women in your life. Sweet and simple positive message: Happy Happens. Gift for home, office, teenage girls, girl friends, work mates, mom, daughter, friend or aunt. Two sizes: 10"x10" or 14"x14"